This year I’ve learned more about food, thanks to meeting monthly with a dietitian who also is a diabetes educator. I’m thankful for the whole process. 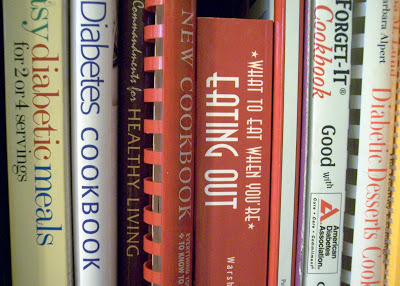 I initially went to get some help losing some weight. It’s a vicious cycle for diabetics because a side-effect of insulin is weight gain, but people like who have a pancreas that doesn’t make insulin need to take insulin with their food. So I’ve worked toward achieving a balance of eating healthy + managing my diabetes. I’ve only lost eight pounds since February (probably because I don’t think I’ll ever have the self-control to give up sugar …), but I’m taking less insulin now (I’ll always have to take some …) and I’ve learned to appreciate cooking. I even have meals now that Greg + I consider favorites!